I wanted to do a 365 project last year, but somehow never got around to it. So, for 2013, I am going to be following Paint the Moon's "This is Our Life" project (see more info HERE). After looking through my files from last year, I realized I had taken very few personal photos. Granted, we don't have children (just the puppies) but it's nice to look back on the past year and reflect, so this year I thought would be a great time to start documenting the every day moments (but only once a week, as I have to be realistic about my time commitments!). The first week's theme is "evening rituals". We have many, but one that has been a regular occurrence since Clara joined our family in April 2012 is documented below. 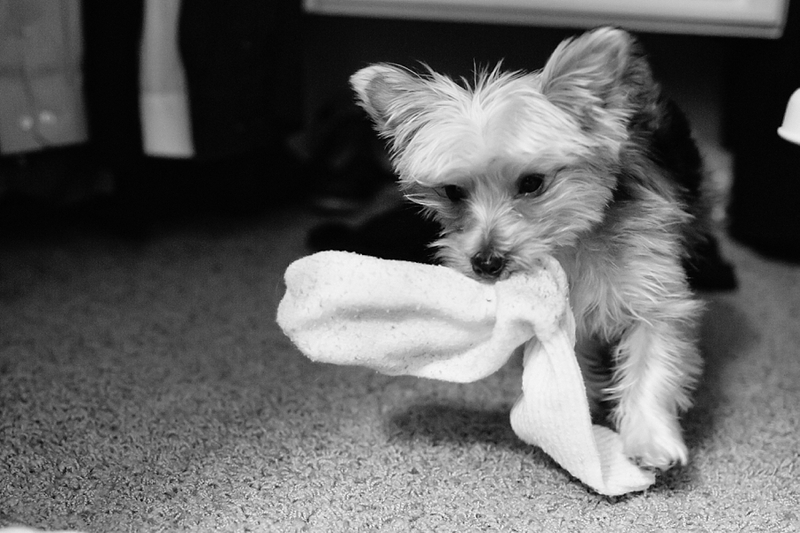 Sock hunting, one of her favorite things to do since she figured out how to launch herself into the laundry basket. This is a nightly ritual, though I neglected to take any photos of the disarray she leaves in her wake as she drags them all over the house. What are your evening rituals?